Hold The Front Page ! November ended with birthday cake for breakfast, the memory of the Rebel Girls, Marissa (10) & Mika (6), singing “Happy Birthday” still making me smile. As I reflected on the best things about the past 4 weeks the first day of the new month marked the unveiling of a wonderful addition to the Interwebs. It’s been some time since a new website has seemed to be so thorough, comprehensive & genuinely exciting. 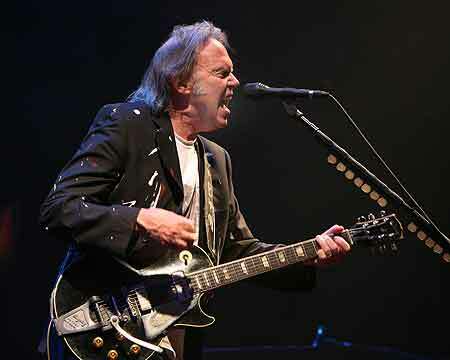 I’ve been listening to Neil Young’s music for over 50 years now, initially with Buffalo Springfield then as a solo artist & a member of Crosby, Stills, Nash &… Some of his music ranks up there with anything produced in that time period. The albums that are less fully realised, with less appeal to me, still feature tracks that are good & worthy of my time & consideration. There are 39 studio albums, many live sets, compilations, collaborations & soundtracks. Plenty of them have been on my shelves over the years. The guy who “borrowed” my copies of “Hawks & Doves” & “Journey Through the Past” is welcome round to mine any time for a warm beverage & to discuss why he never brought the flipping things back. Now here comes www.neilyoungarchives.com & what a lovely e-thing it is. Neil has been talking about curating his extensive assortment of unreleased material for almost 30 years. The first “Archive” release came around in 2006 & “Live at the Fillmore East”, recorded in 1970 with Crazy Horse, was hotter than Georgia asphalt, raw, raucous Rock & Roll power. There have been 7 more subsequent releases, some of which I have missed through my own penury or because I’m still listening to those great nights in New York (see above). The website has got it all, official, unreleased, the films. Everything from the last 55 years, Blimey ! It’s a well-designed, attractive place & Shakey himself guides you though the controls. I’m being tempted by the classic records & I’ll be re-visiting neglected ones like “Old Ways” & “Everybody’s Rockin'” for the first time in a while. I’ve been told that this resource will be free for the next 7 months when a “modest” subscription will be introduced in June 2018. I’m getting the feeling that that the current, produced by algorithm, one size fits all, Netflix Original fare (have you seen the “War Machine” movie ? A missed opportunity. ), is not giving enough bang for my buck. When asked to commit my hard-earned to an artist whose body of work has given so much pleasure & inspiration & will continue to do so then I’ll be joining that queue. This year’s Peter Perrett LP, “How the West Was Won” continues to give up its many charms & November has had me flipping through the back of the stack for the 3 fine records by his old group The Only Ones. A little Y-tube investigation yields 3 radio sessions for John Peel from 1977-80, some of the performances eclipsing the recorded versions. Back then we also had a bootleg of the band playing live in 1979 at the Paradiso in Amsterdam, they really did pump it up onstage. Now Peter & his new band are back on the road & back, 38 years later, at the Paradiso. He’s got some outstanding new material but it would be impossible & unreasonable to neglect his back catalogue. The clip of the month is this capture of the monumental “The Big Sleep” from “Baby’s Got A Gun” (1980). The acerbic Rock & Roll sleaze of his best songs resonated then & it still does. It’s great to see him working again after such long absences & while a prior commitment kept me away from this tour I really do hope that there is more to come. So this month I went to the pictures to see “Thor:Ragnarok”, #17 of the billion dollar merchandising tent poles from the Walt Disney conglomerate (© Movie Bob). The first Thor movie reminded me of just how much of the Asgard, Loki, Rainbow Bridge, big hammer stuff I had absorbed as a kid spending too much time with Marvel comics. This one, the third one, is directed by Taika Waititi whose last 2 films “What We Did in the Shadows” & “Hunt for the Wilderpeople” are essential viewing. It was his name rather than the chance to see a shirtless Hemsworth that got me to the multiplex. The film was fun, it was funny & er…that’s it. Candy floss would have been more appropriate than popcorn. Asgardians of the Galaxy. Next up for Waititi is a starring role in “Corpse Tub”, a comedy about the ritualistic suicides of a deranged cult. Count me in. Of much more viewing resonance was the Ken Burns/Lynn Novick documentary “The Vietnam War”, a 12 part epic shown by PBS in the US & the BBC in the UK. This ill-judged & wrong-headed American incursion into South East Asia was a major influence on my own political viewpoint. I knew about the failure of 3 Presidents to bring order to the chaos, about the massacre at My Lai, I read Michael Herr’s “Dispatches”, had seen “Apocalypse Now”. But I was a kid in the UK when this thing started, other things to preoccupy me, no nightly news bulletins, no draft to dodge. Burns’ film covers all the bases, is even-handed, blends current interviews with contemporary footage brilliantly. You know that “the next episode will begin in X seconds” nonsense ? This was too serious, too affecting for that. The thoughts it provoked deserving of consideration rather than a binge watch. The whole series can be found on the Y-tube, it’s an achievement. OK, despite the efforts of two world leaders, men who both seem to be inadequately qualified for their jobs, Earth has made it to the end of September 2017. It’s been a month when my football team have remained undefeated, winning their last 3 games in fine style. At a time when, after 5 miserable seasons, we finally have a coach who has some idea of what he is doing & a team who at least appear to care what happens when Saturday comes. It would be just Aston Villa’s luck to have our mini-revival abruptly ended by a bloody nuclear holocaust. Here’s some other good stuff from the past 4 weeks. In July 1976 Neil Young sent a telegram to his co-star in the Stills-Young Band notifying Stephen that he would not be completing their tour in support of the “Long May You Run” LP. A 1974 stadium tour by their group, Crosby, Stills, Nash & Young, an avalanche of hype, drugs & ego had strained relationships to breaking point & now he was walking away from a musical partnership that had lasted a decade. Neil had shown the same cussed restlessness when solo LPs “After the Goldrush” & “Harvest” had been very successful in the singer-songwriter/Soft Rock troubadour boom of the early 1970s. His subsequent recordings, some of the most imaginative & challenging of his long & varied career, failed to reach that audience which hoped for more songs like “Heart of Gold” (you know that one). Always prolific, Neil could still do that stuff as well as anyone. On one night in August 1976 he took his acoustic guitar into a Malibu studio & recorded 10 new songs. It is only now that we finally get to hear the results of that night. Listening to “Hitchhiker” is a delight. 8 of the 10 songs made it on to his records but this doesn’t sound like a bunch of demos & it’s not the nostalgia of hearing old songs. The lack of other instrumentation matched to Neil’s individual shaky delivery, high & human, sounds like an LP that was ready to go. I’m by no means a Neil Young obsessive & I know what I like. Albums like “Hawks & Doves” & “Greendale” still get a regular airing round here while others remain at the back of the stack. The high quality of some of his archival releases, the monumental Crazy Horse set at the Fillmore East in 1970 & this stoned snapshot of his mid-Seventies creativity are essential documents of one of US Rock’s great artists. Well, this will not wait. 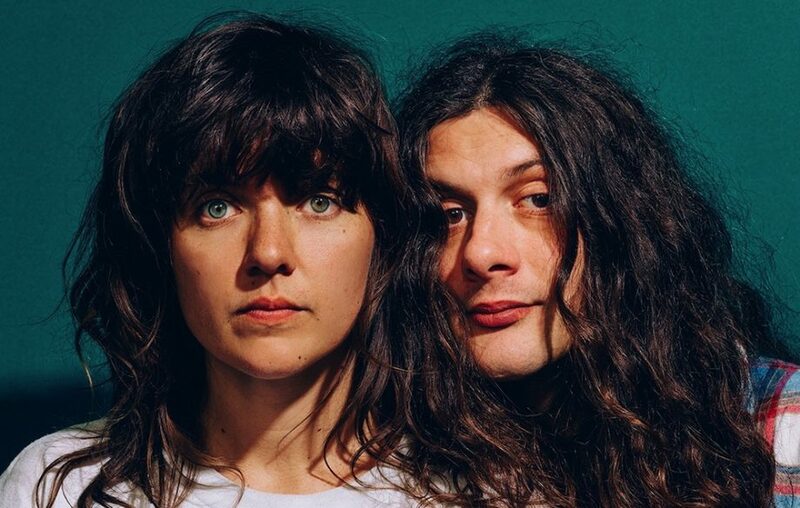 There’s a new Kurt & Courtney in town when on October 13th Courtney Barnett & Kurt Vile release their LP “Lotta Sea Lice”. The 2 pre-release tracks, the shimmering “Over Everything” & the sweet “Continental Breakfast” confirm that the album will be one to listen out for. Aussie Courtney stormed it with her debut LP “Sometimes I Sit & Think & Sometimes I Just Sit”, refreshingly honest & sharply amusing lyrics backed by punchy Indie Guitar Rock. “Sometimes…” deservedly found an audience & Courtney ended up with a nomination for Best New Artist at the 2016 Grammys. As much a shock to us that the best music should be acknowledged as I’m sure it was to her. I don’t know much about Kurt Vile’s solo work or with his band The War On Drugs. If he’s good enough for Courtney, these 2 tracks display a natural compatibility, then he’s good enough for further investigation. So much music so little time. September can’t be done & dusted without marking the loss of Walter Becker & Grant Hart, both so essential to the outstanding music made by their respective groups Steely Dan & Husker Du. Obviously the movie of the month was “Wolf Mother”, writer/director Erik Peter Carlson’s first film since his ambitious 2014 indie epic “The Toy Soldiers” & another confident piece of film-making. The film is not at all helped by its trailer, Carlson has got it going on & capably pushes the limits of taste further than say Linklater or P T Anderson who have covered similar ground with bigger budgets. Look, I have recommended violent, twisted, amoral tales of low-life losers before & some people have not been too impressed with my choice. So “Wolf Mother”, you didn’t hear about it from me right ! Playing over the opening credits of David Simon’s new TV series “The Deuce” is Curtis Mayfield’s incendiary “If There’s A Hell Below We’re All Going To Go”. Set on the mean streets around New York’s Times Square in the early 1970s these wise guys, superfly sporting men & their ladies will need more than a great Funk soundtrack to rival all those classic movies with a similar urban setting. Simon has hit the spot before, “The Wire” & “Generation Kill” remain particular favourites. His collaborator George Pelecanos is responsible for some of the best recent US crime fiction. I’ve only seen the pilot, James Franco (not a big favourite, too many Judd Apatow films) plays 2 brothers & the very lovely Maggie Gyllenhaal is er…very lovely. I saw enough of interest to ensure that I will be hanging around for the rest of the series (series 2 is already confirmed) & trusting that the 2 creators will introduce a wider social context for the excellent cast to hang their rather fetching street threads & “everything is everything” patter on. 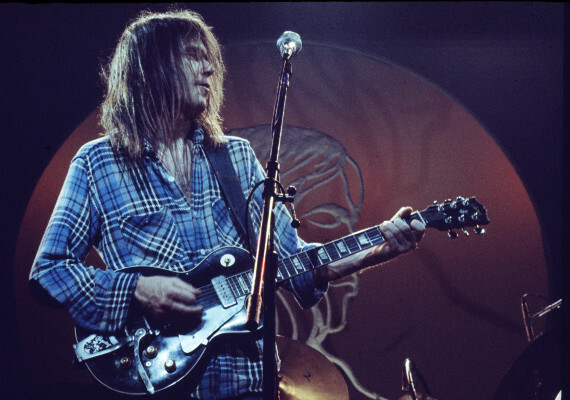 On The Road With Me, Pete And Neil Young. We, Pete the driver & myself, hit the German/Swiss border at Basel on Wednesday lunchtime. Are those customs controls still there ? Switzerland has kept itself out of the great European upheavals & experiments for the past 200 years & more, it is not a member of the European Union so maybe they are. We had a clear run after a delivery in Aachen, an overnight stop by the Rhine in Baden-Baden, so good they named it twice. A couple of drops in Switzerland, a pickup in Brussels then back home in time for Saturday night beers & a sleep in our own beds. It was a good plan but a signature was missing from some paperwork & the Swiss were not about to welcome us as guests in their country until it was sorted. In those olden, pre-electronic times a crappy fax machine (ask your parents) back in the UK meant that it took 5 days before we got the go-ahead. Hey, this was none of my doing (phew ! ), I was getting paid by the day, the sun had got its hat on & we had gone on holiday by mistake ! We were carrying an exhibition by the artist who wraps stuff up…Christo, that’s the fellow. This gear was not cheap & neither was the duty due. The helpful customs staff were not about to front us a big bag of their Swiss francs. OK, we were in a car park, our wagon was too big for any back road exploration but we were in Germany, could see Switzerland just over there &, to the West, France was a 10 minute walk away. There was surely a good & interesting time to be had on these three frontiers. We were sleeping in a truck, probably needed more socks, certainly more hash but we had plenty of Neil Young tapes with us. Oh yes ! How much do I love Neil Young’s music ? Loads…ever since his 5 songs on the debut LP by Buffalo Springfield, never more than when he’s the lead guitarist with Crazy Horse. “Ragged Glory” (1990) followed “Freedom”, regarded as a comeback though I’d been listening through the 80’s, the Rock & Roll one, the Country one, the ones that caused his label to sue him for not sounding like Neil Young ! Form is temporary, class is permanent & while these records didn’t match his truly great ones (another time) each had its moments. With Crazy Horse he kept it simple, the rhythm section of Billy Talbot (bass) & Ralph Molina (drums) providing a monolithic backbeat for the guitar interplay of Neil & Frank Sampedro. On “Ragged Glory” the volume is turned up to 11, the tape left running to capture the distortion & feedback. Resistance was futile, it was impressive that a band was still sounding so fresh & powerful 20 years on & were still contenders for the rock and roll championship belt. Meanwhile, down by the river we were exploring our patch of the mightily impressive 750 mile long Rhine. 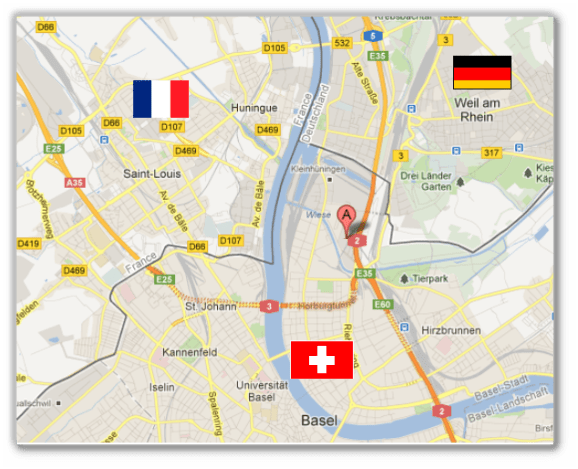 Basel is situated on its “knee”, a 90° turn from West to North. I’ve always been fascinated by Ekistics, the science of human settlement, still am. The security of an outcrop protected by a natural barrier attracted Celts & then the Romans, keen to keep an eye on those wild Germanics at the edge of their empire. The city has been a wealthy trade centre for like always. It’s a beautiful place but it’s a bourgeois town & we could have our fill of cosmopolitan back home in London. We were ready for the country. The bridge had been opened in 1979 but the many shifts of the tectonic plates of European history & the strategic importance of the Rhine had kept these borderlands apart. The Romans left Alsace (that’s where we were) in the 5th century. The Franks showed up from the East, succeeding Germanic empires were around for a 1000 years. The shenanigans involved in the collapse of the Holy Roman Empire, the Revolution & Napoleon, the return of the Prussians, affected the area then, in 1918, it was a French spoil of victory in a world war. That would not stand with the Germans who were back for the sequel in 1940. The market square in Village-Neuf included a plaque commemorating the arrival of Allied Forces in 1945 & liberation. The old boys at the “lac du peche” told their stories after my strangled Franglais prompts. We were out here on the perimeter but surely in France, a country Pete & I had enjoyed on earlier trips. Some good bread, fromage, a little charcuterie & a couple of decent bottles of wine were perfect for sunny days just watching the river flow. “Ragged Glory” Neil toured with the Horse then “Harvest Moon (1992) & “Unplugged” (1993) were LPs that could be marketed to the audience which bought “After the Goldrush” & “Harvest”. He toured with Booker T & the MGs, a gig I missed & shouldn’t have. 1994’s double LP “Sleeps With Angels” was the most atmospheric collection since “Tonight’s the Night” from almost 20 years before. The title track is a eulogy for Kurt Cobain who had quoted Neil’s “Hey Hey My My” in his suicide note. Neil’s influence on a younger generation of musicians went beyond a shared taste for oversized Pendleton shirts. On the road again by noon on Monday, people were waiting for us. We delivered Christo the wrapper’s doings & headed for Bern with a family of bears (♫it’s a family of bears♫), bright blue life-sized plaster ones for a film producer’s garden…I am not making this up ! Bern was baking hot & we were a little lost. We needed soft drinks & a street map, the Egyptian shop owner insisted on getting in his car & guiding us. Well “As-salamu alaykum, Brother”. The truck was finally emptied, we were days behind schedule & had kilometres to go before bedtime. A plan was made to push it along back into France, we would eat late & eat well. Only that didn’t happen. This time our border crossing was uneventful , we hung a left at Strasbourg but who knew that May 8th was Victory Day, a French national holiday & that the country would be closed ? Now we were in Lorraine, still a crossroads of French & German geopolitical ambitions, the official language of the area decided by whoever held the upper hand. The autoroute was eerily empty, the idea of going off-road to look for somewhere that was just so but shut didn’t appeal. We kept on moving, for us this was a back-to-work day. Looking at the world through a windshield was getting old after over 350 miles, Pete was way past his allotted driving hours & we were getting white line fever. I, as the truck’s DJ, had the very tune to help us through those final extra miles. “Change Your Mind” is the 15 minute blockbuster from “Sleeps With Angels”. It’s not as anthemic as “Like a Hurricane” or “Rocking in the Free World”, both songs that reached a wider audience than the dedicated Young Ones. Like other classics “Cortez the Killer” & the later “Be the Rain” it takes its time, draws you in, gets a grip & won’t let go. I love this track. As we drove in the dark through the hills & woodlands of the Ardennes, another region marked by the comings & goings of the century, we grooved on an epic tune to end an epic day. From Luxembourg to Brussels went smoothly. The small industrial towns of the Ardennes reminded me of the textile mill towns of the English Pennines except that up in Todmorden there are no stalls selling frites (chips) with mayonnaise. What kind of nut first had that idea ! We reached the White Cliffs of Dover a little later & more tanned than we had planned. Pete & I had spent 10 days in close proximity, we had shared an adventure & no-one was harmed. I have no contact with Pete now. We are both similarly strong-minded individuals and well…it happens. I could make a good case for him being a grumpy control freak &, if he were here, he could tell stories about me that would make it a draw. If he does ever see this then I have other memories of him that are just as good. Me & Neil Young…yeah, we’re still tight. Ben Gibbard is a busy man and a talented man. His main band, the finely named Death Cab For Cutie, have three US Top 10 LPs. A side project, The Postal Service, were responsible for the wonderful “From Such Great Heights” one of the best pop singles of the last decade. In 2009 his LP with Jay Farrer, “One Fast Move and I’m Gone” absolutely enchanted me and is still my summer record of choice. I hear it as the best collection of literate country rock songs for about 30 years with an authenticity lacking in other pretenders, plagiarists & less talented. A Kilgore Trout short story was set in a world where the exceptionally gifted or beautiful were handicapped by weights or masks. Ben’s millstone has been to be married to the tiresome Zooey Deschanel between 2008 & 2011 Now irreconcilably different to her he is touring the world with Death Cab and is releasing the first LP under his own name. On first listen it is pretty good. The songs are more simple and stripped down than those of D.C.F.C. but Gibbard’s fine line in lovely melancholy is consistent. The collaboration with Aimee Mann, “Bigger Than Love” stands out but I will be listening to this more because I like this stuff. The first single “Teardrop Windows”, about the Smith Tower in Seattle, sounds like Teenage Fanclub. T.F.C. have been the flavour of the weekend round our house so this is no bad thing. Out tomorrow, the record company has posted the whole LP on Y-Tube already. I don’t understand that but go listen anyway. OK, I’m struggling to find songs of sufficient quality to include here. Taylor Swift has a new record. Her shape shift from a sweet little young woman singing sweet little country songs into an identikit pop muppet is a disappointment. A more imaginative management would have sent her to Jack White’s house, lit the fuse and stepped away. Donald Fagan has a solo LP but no matter how hard the old guy tries it will not be as perfect as 1982’s “The Nightfly” because little is. So it’s Neil Young then. 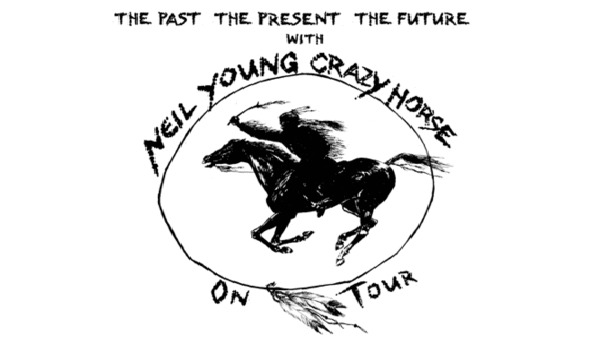 I have not written much about Neil even though I consider he and Crazy Horse to be the best rock and roll band in the world. This year’s “Americana” record was of little interest to me. Now “Psychedelic Pill” with it’s echoes of the monumental “Ragged Glory” seems to be just the ticket. “Ramada Inn” is 17 minutes long. I know that you are all busy people leading busy and interesting lives. You may not have time in your cluttered schedules to listen to such an extended song. Me ? I have listened, I am playing it to my friends. Neil is in the pocket with this sound. The mighty Horse, under strict orders from the boss, never stray far from the foundation they have always provided for his solos. I will still be listening to this in 20 years. Epic !